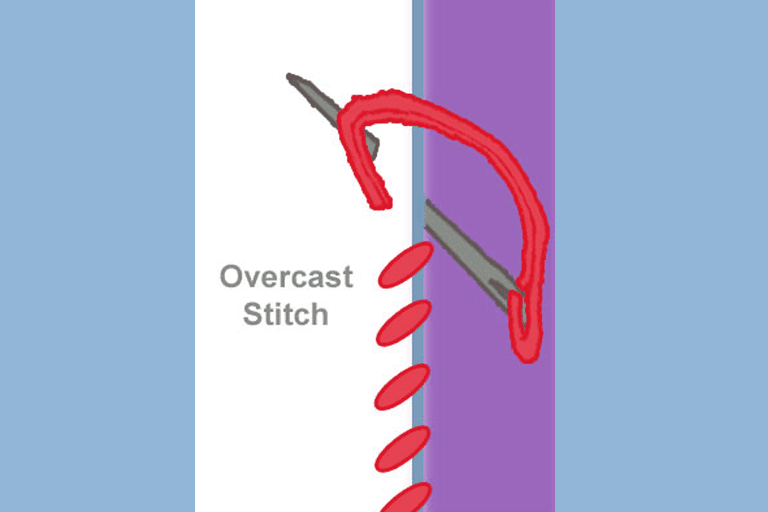 An overcast stitch is used both to protect the raw edges of fabric and as a decorative element. It's most effective at keeping the edges of a piece of fabric from unraveling, especially when it is stitched twice over the edge of the fabric to make a zigzag stitch. 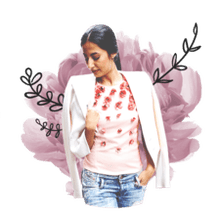 What Is Overcast or Whipstitch Used For? As a decoration, the overcast stitch looks great when applied to the edging of felt projects and blankets. It can also be the start of a zigzag stitch. Also known as a "whipstitch," this can be used to decorate the edges of a fleece blanket or to protect the edges of a leather belt. It's also known as a "crochet stitch," especially when it's done by hand (instead of with a sewing machine).crochet stitch," especially when it's done by hand (instead of with a sewing machine). Whipstitching is also a kind of surgical suturing, but we'll leave that to the medical experts. This stitch is easy to master, as long as you use the right tension on your thread and have the patience to space the stitches evenly. Note that that by design, the overcast stitch will show on both sides of the fabric. To get started, you first have to anchor the stitch. This involves creating a small straight stitch at the start of your work. This will ensure that the knotted thread will stay in place while you work. Insert the needle into the underside or "wrong" side of the fabric and pull through to the knot in your thread. Put the needle through the "right" side of the fabric, and pull through. This single stitch is all you need to anchor your work. Overlap the thread over the edge of the fabric with each stitch. Put the needle through the right side of the fabric, pull through. Make sure that the thread is not bunching or becoming uneven. Go around the edge of the fabric, and insert the needle in the same side as the last stitch. With this step, you are effectively wrapping the thread around the edge of the fabric with each stitch. Do not pull the thread too hard. This will bunch up the fabric on the edge. Repeat, wrapping the thread over the edge of the fabric with each stitch. Make sure that you are evenly spacing your stitches. Use a ruler if needed, or even mark your fabric ahead of time with a pencil to help track your stitches. When the stitches are unevenly spaced, it can be very noticeable along the edge of the fabric. Continue to overlap the edge of the fabric with each stitch. If you need to start a new thread, make a small anchor stitch that will be hidden by your whipstitching, then knot and cut the thread on the wrong side of the fabric. Weave extra thread ends through the stitching. The overcast stitch should look natural on the fabric; not too loose and not too tightly drawn.